In an audacious attempt to launder forty years of illicit gains, The Cuban government is planning to launch an initial public offering of a private company they control in Miami, Florida thru the New York Stock Exchange. An adventure romance novel. 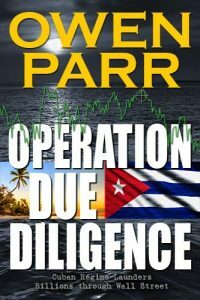 You are going to discover and love the adventures of investment banker, Julia and CIA operative, Alex, as their love for each other permeates the pages of this proven successful new action, suspense novel. Alex, must attempt to save her life, not just once, but twice, as she becomes a pawn in an international thrilling political game of espionage and double-crosses. You’ll walk through the vibrant streets of South Beach with their neon lights, swim in the beautiful emerald green and cobalt blue waters of Cuba’s beaches. All, after dining in century-old Parisian restaurants, followed by some salsa dancing in hot latin bars along Champ de Elyse. Finally, you’ll be smelling the garlic and fragrance of Miami’s “Little Havana” restaurants sipping cafecitos and mojitos. All of this, while cynical forces are concocting the biggest fraud on Wall Street, laundering their illicit gains from drug trafficking and crime. Or, you buy a an autographed copy. Click below. Being in the financial industry for over 30 years now, the term ‘due diligence’ is very common. It refers to doing your research, your homework on a particular investment before you commit to the investment. Before any private company becomes a public company with shares of stock being offered to the public, rigorous due diligence is done to ascertain the validity of the company and offering. Since my plot deals with a private, albeit illicit, company going public on Wall Street, I thought it be intriguing to use the term as a title. 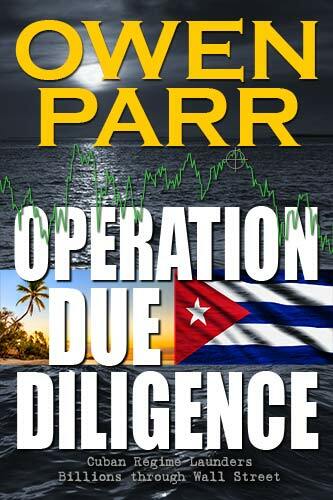 In the book, you’ll see that the Cuban government and it’s leaders, through their arrogance are plotting to launder their illicit billions through a faux private company in Miami. They thought it would be a joke on the U.S. to have it’s citizens literally launder their illicit gains by buying stock in their fraudulent offering. Every author’s dream is having his novel be picked up as a potential “Big Screen” release. Due Diligence started out as a screenplay that I wrote. I actually sat in front of Oliver Stone and ‘pitched’ the screenplay years ago. He commented that he loved the title. But two things were against me; first, it was my first attempt at a screenplay and while the story is great and very intriguing, the screenplay itself was not my best effort. Second, Mr. Stone’s politics and views of Cuba and Castro are polar opposites of mine. He asked me; “Is it a pro or anti Castro plot?” I think even if my screenplay was Oscar material, the plot is definitely not pro-Castro. My response was; “It’s about Cuba and the government.” I avoided a direct reply, but at that moment I knew I was not going to get a “green light” as they say in the industry. Nonetheless, it was an exciting experience to sit across a movie mogul and pitch your screenplay. His studio kept the screenplay and I got a letter acknowledging receipt of it. Had he bought the screenplay and changed it to a pro-Castro movie, I may have had to move out of Miami. If you know what I mean. My main male protagonist is Alex Cardenas. I envisioned as I wrote the screenplay, Andy Garcia in that role. Even when I wrote the book years later, I still wrote it with Garcia in that role. My main female protagonist, Julia Muller Estrada-Palma’s role was written with Michelle Pfizer in mind. The main male antagonist, Rick Ramirez was written for Armand Assante. 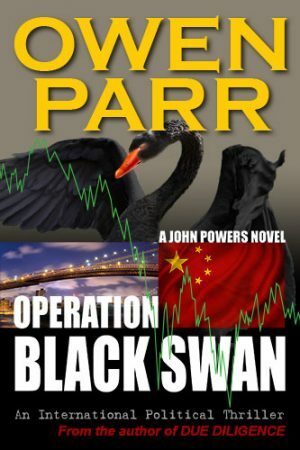 The sequel, Operation Black Swan expands the love story of Julia and Alex.